See this hammer? Mess with me, and I will destroy you. One of the freedom fighters rescued by Sonic. Thanks to her robotic limbs, she's unstoppable. Oh baby! I never felt so special in my entire life. Well, I maybe half rabbit, and half robot. But I have something a robot will never have: a mind and heart of my own. 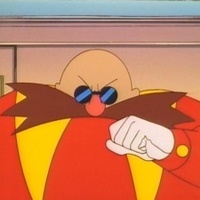 The main villain in the series. Grrr!! 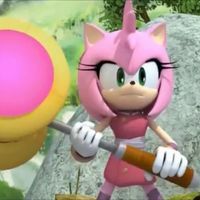 I HATE THAT HEDGEHOG!! Ah... You hear that, badniks? It's the sound of the beginning of the end of the Freedom Fighters. 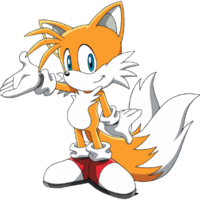 Miles "Tails" Prower. 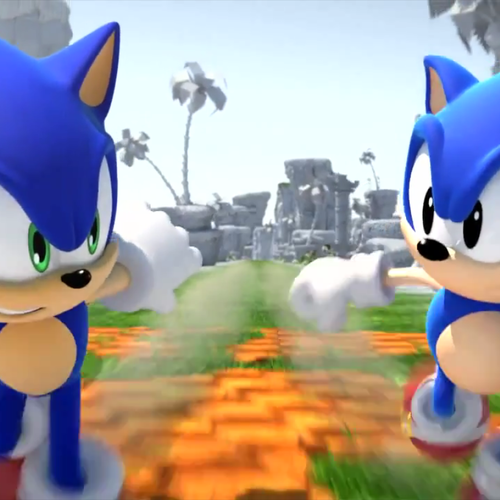 Sonic's little buddy. Mess with this fox, you get the tails! 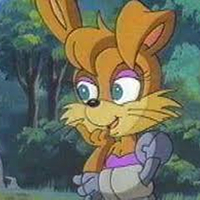 Tails' friend and a member of Team CHAOTIX. *singing* Bee, bee, BEE!! 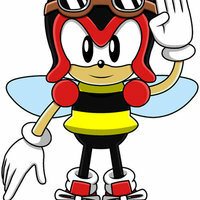 Charmy the Bee! Charmy the Bee has lots of honey! Give up or I will sting you! A treasure hunter and a hero/anti hero. Works for Team G.U.N. 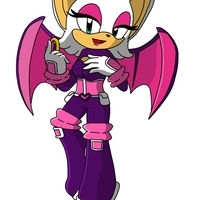 If you're a fan of Rouge, see if you can do your best impression of her. Well, look who's here. I didn't expect to see you guys. I despise anyone who takes jewels from me. All the world's gems are mine to keep! Such a hard worker! How's about I give you a kiss for your troubles? My original character. A bounty hunter with an attitude like Sonic. He's madly in love with Bunnie, not to mention that he's going steady with her. Well, excuse me, Sally. It's not my fault that you girls have beautiful bodies. As Bunnie would say, that person is nasty as a one eyed snake.